You are known as the originator of techno. Many DJs and producers cite you as a key influence on their work. How does it feel to be held in such high regard? Did you have goals as such in the early days, or did it all come about accidentally? It’s a really good feeling. In a way, part of the reason that I started making music was to make the world better. If you have an opportunity and you have a gift that can change the world for the better then I think you need to seize that opportunity. Basically, that’s what I did. At the same time, I had no way of knowing how my music would get out into the world or what effect it would have on the world. I just knew that I was doing something special. Along with the likes of Derrick May, Kevin Saunderson, Eddie Fowlkes etc, you propelled techno music forward and a lot of later producers have taken inspiration from you guys and developed their own take on the sound. What do you think of the current state of techno music generally? What has changed over the years? The current state of techno music now? There’s a lot of music out there, probably way more than needs be on the one hand. On the other hand, I think that more people making music definitely brings forth new and better ideas. That’s the sweet part of it. The sour part is that there are a lot of people making music now that probably shouldn’t be or, without the technology, wouldn’t have been able to make music, 15, 20, 25 years ago. What has changed is that there is a lot more music now and you have to take the bitter with the sweet. 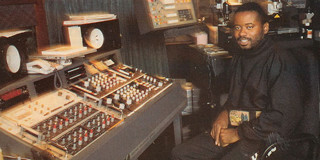 Detroit is recognised as one of the most important places in the development of modern electronic music. Can you tell us a bit about the city’s influence on you and what you think makes Detroit so special? Detroit has always provided fertile ground for creative ideas going back to the Motown days. There’s just something about the place that I can’t quite put my finger on. It’s such a hard city. It’s not like New York or Chicago or LA, where you have a cosmopolitan vibe. You don’t have the fashion world, the movie world and things like that. You just have plain, gritty Detroit. It was also one of the first cities to experience the transition into technology, with the emergence of robotics and the automation of the car plants. So we experienced a lot of post-industrial decline in the landscape before most cities in America. But I think there is something about all of this that stimulates creativity in the arts. How important do you think it is to have club nights like this celebrating your city and its contribution to electronic music over the years? It remains to be seen how great the club is. I’m looking forward to seeing it. There have been other places that have devoted attention to what we did in Detroit and it’s a really good feeling. I’m looking forward to giving people a closer look at what we do in Detroit. You have performed live with Model 500 for a number of years, but I understand this will be the first time you have ever put together a live set as Juan Atkins. You’ve had a number of aliases over the years and you’ve built up an impressive back catalogue. Presumably, it would have been tricky to select what you want to include. How did you approach putting the set together and what can we expect? Will there be new material included? There will be some new material. To be honest, with the show a month or so away, it’s not complete yet. I can’t answer this question fully. One of the highlights that I wanted for this is to present new material, whereas we really just do the classics as Model 500. But with this I want to take the opportunity to perform new and unreleased music. So that should be interesting. Finally, I wondered what your thoughts were on the future of electronic music. How do you see your own music evolving and what are your hopes for the future of techno music in general? Now that digital downloads have taken over the music industry, there has been a real decline in record sales. You really can’t survive on your record sales anymore. The emphasis now has transferred over to live performances like this one. So the future of techno music and what I do will probably now include the live presentation aspect, meaning the visuals and things of that nature. You have to incorporate new developments in how the music is presented in a live setting, meaning three dimensional visuals and three dimensional audio. Not just me but new producers, if they are serious about their art, should definitely consider not just the music but also the video and multimedia presentation of their music. That’s going to come to the fore in the real near future.